Todd was born and raised in the DC area. He attended Georgetown Prep and graduated from Wootton High School in Rockville, MD, then went away to school in Ohio at Miami University. 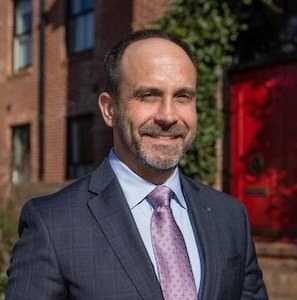 He came back to DC (Old Town Alexandria, actually) after school and worked in marketing for SHRM and in advertising sales for The Motley Fool before he found his calling. Todd got his real estate license and moved into the city in 2001. Todd joined forces with his dad, Stan Bissey, and they have been working side by side ever since.